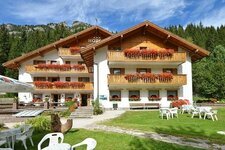 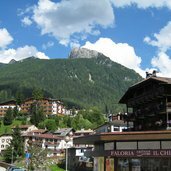 As from an economic and administrative point of view, Moena is actually the main village of the entire Val di Fassa. 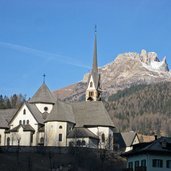 Moena and the Parish church of St. Vigilius. 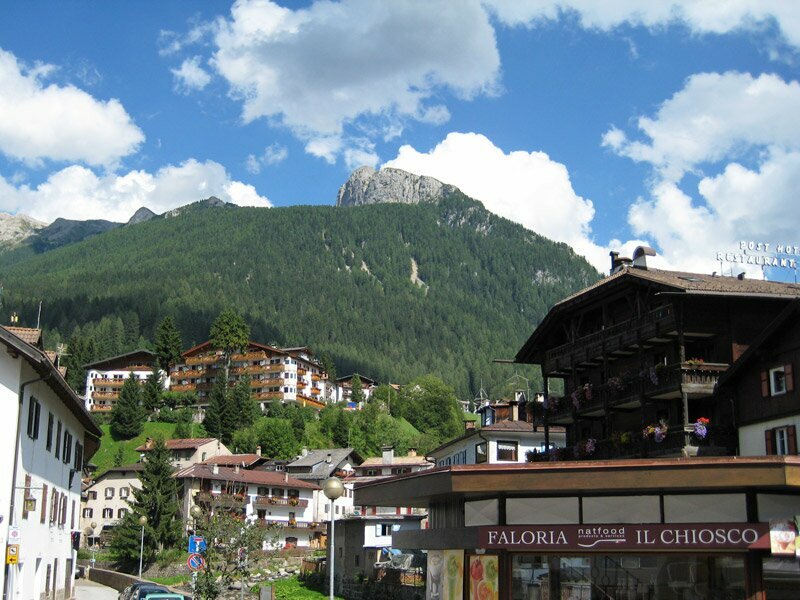 The Catinaccio mountain, seen from Somedia. 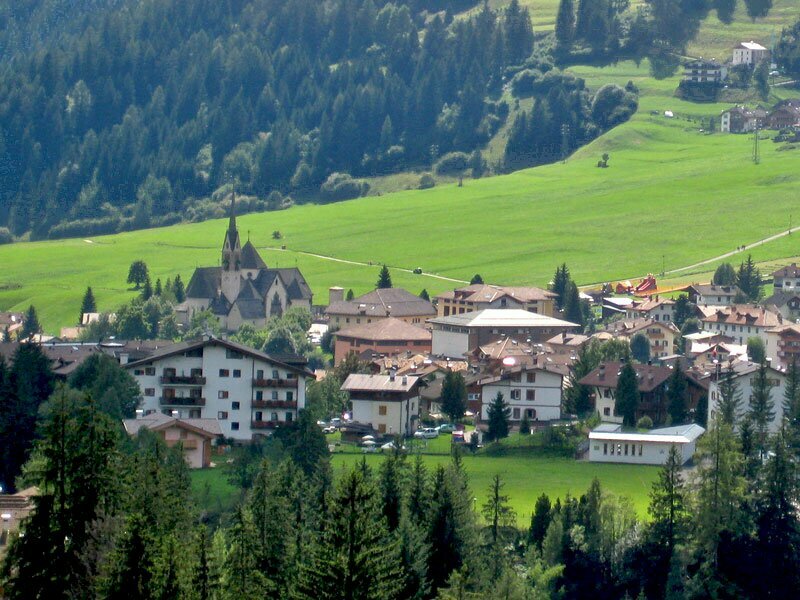 Panoramic view of the village of Moena. 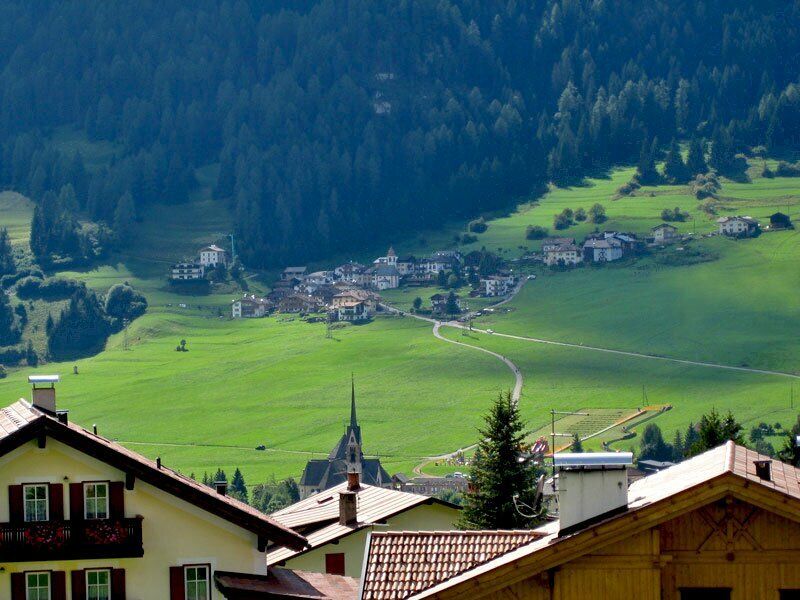 Sorte, the small village in the background, makes part of Moena. 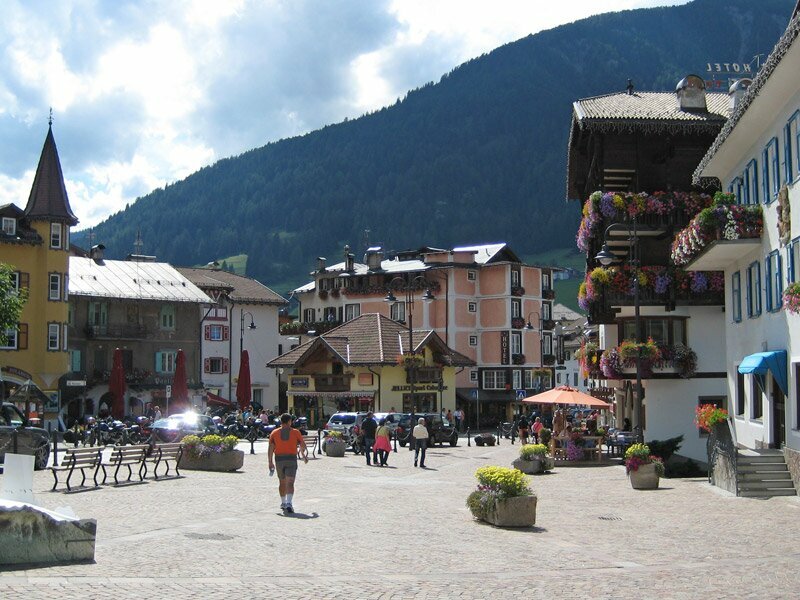 The centre of Moena is called Piazza Italia. 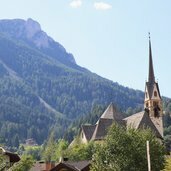 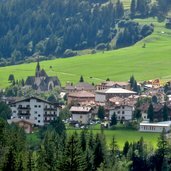 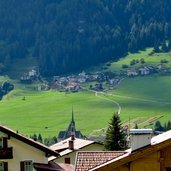 With 2,700 inhabitants, Moena is one of the biggest villages in the Val di Fassa valley. 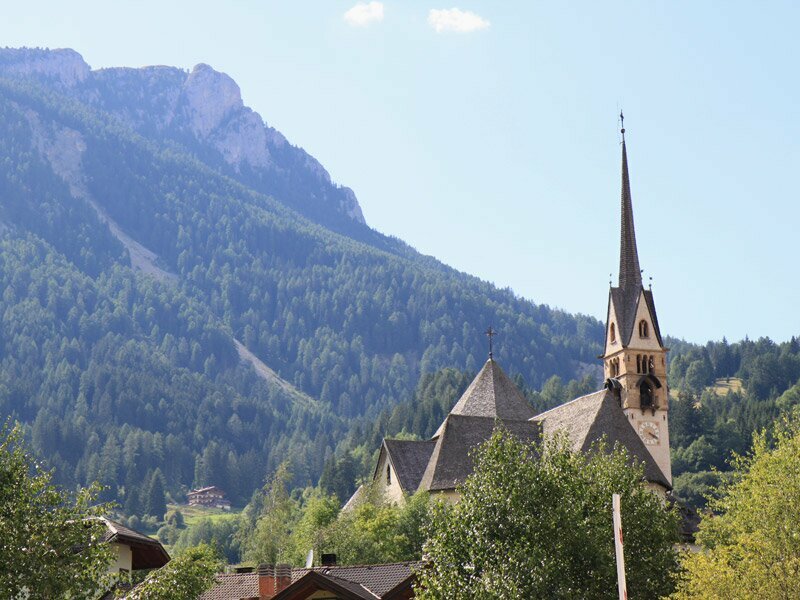 The Parish church and its surroundings at spring time. 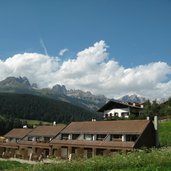 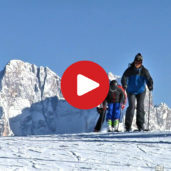 Located in the heart of the enchanting Dolomites and surrounded by such mighty mountains as the Catinaccio, Sassolungo, Monzoni and Latemar, the village is actually the gateway of the Val di Fassa. 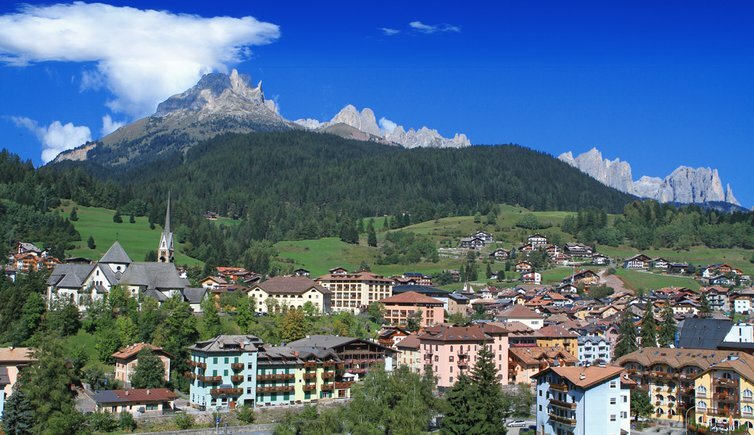 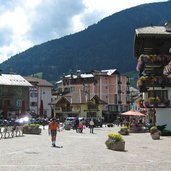 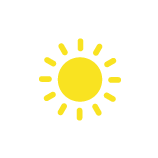 The village is located almost in the heart of the “Tre Valli” region, a ski area including a total of three valleys, state-of-the-art ski lifts and gondolas and carefully-groomed ski runs. 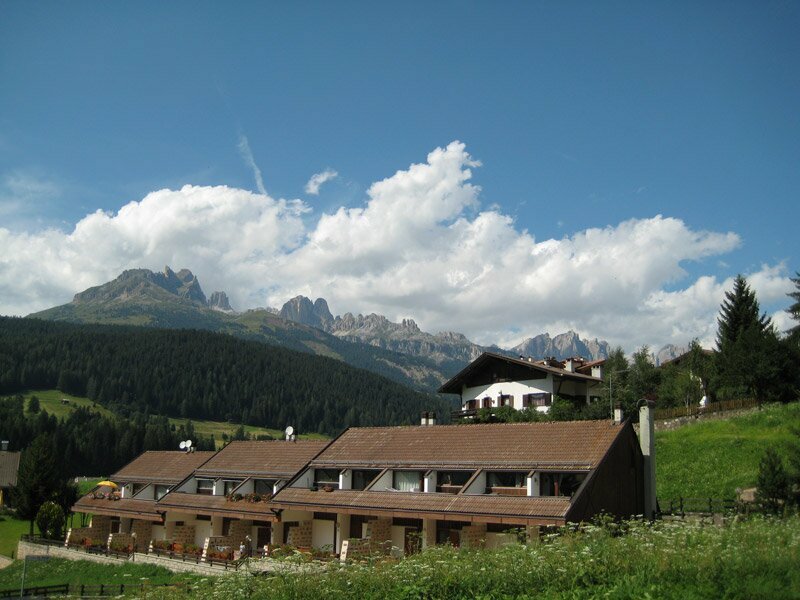 In addition to its natural treasures and a number of sports facilities, Moena has a lot to offer also from a cultural point of view. 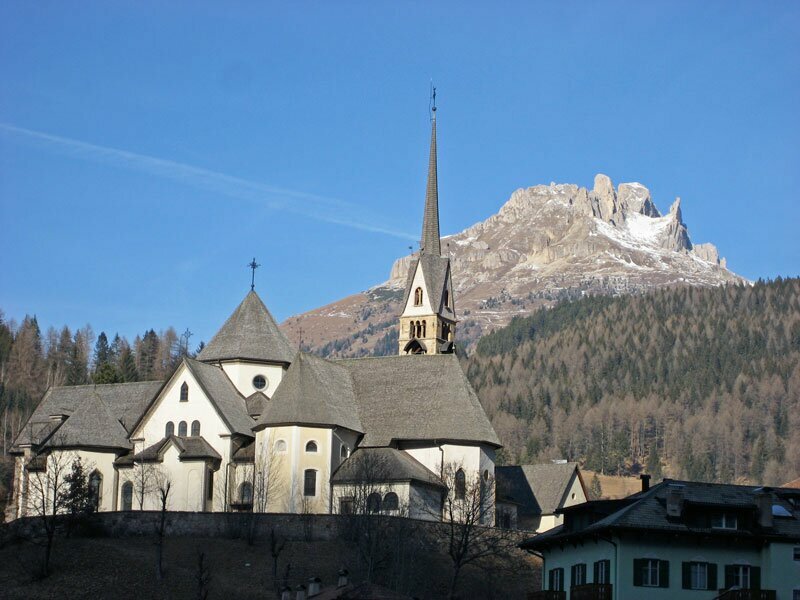 Worth seeing are the San Vigilio church with its Gothic tower, the operas by Valentino Rovisi or the little church of Sal Volfango, featuring an interesting baroque ceiling.